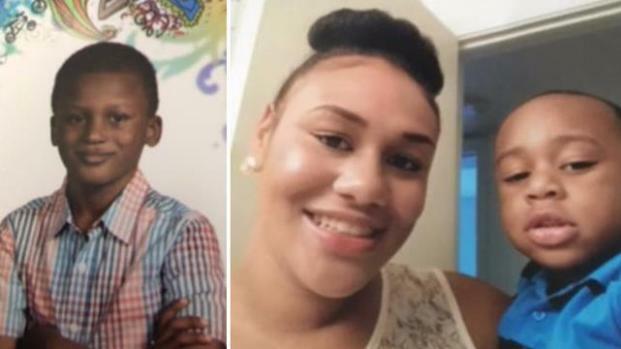 The bodies of a Virginia mom, missing since Friday night, and of two boys who were riding in a car with her have been found in a creek. News4's Shomari Stone reports. After nearly three days missing, the bodies of a Virginia mother and two little boys were found Monday in a creek. Relatives had been desperately searching for Courtney Ashe, 27, Ashe's son, Cameron Martin, 5, and Ashe's cousin, Jalen Sills-Russell, 9. Jalen's stepmom discovered the upside-down car in Loudoun County Monday afternoon, a family member told News4 Monday evening. A woman's body was found ejected from the car, the sheriff's department confirmed. "Just as tragic as it can possibly be," said Loudoun Sheriff Mike Chapman. Searchers believe they have found the bodies of a mom and two children missing from Loudoun County since Friday. 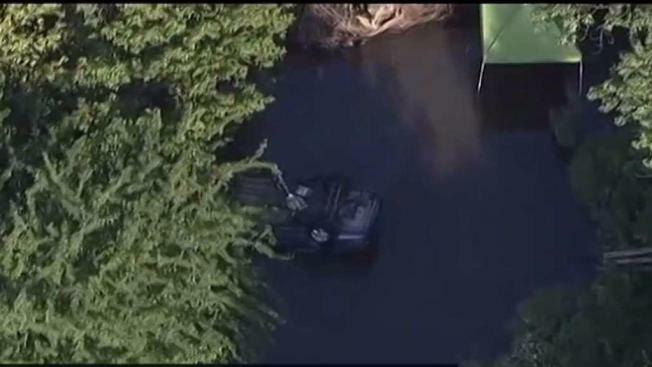 The mom's car was found in a creek. News4's Julie Carey reports. It appears that Ashe's car hit a guardrail on a small bridge over a creek on Evergreen Mills Road, "flipped over and ended up in the water," Chapman said. He said the investigation was continuing, but that police believe the crash occurred Friday night during stormy weather. Torrential rain fell in the area, and streets flooded. The bodies of the mother and two children were taken to the Office of the Medical Examiner for identification. Ashe was last seen Friday after she left a relative's home with the boys, the Loudoun County Sheriff's Office said. The three left about 11:30 p.m. and were expected to return to her uncle's home in Leesburg. But they never arrived. Ashe lived in Suffolk but grew up in Loudoun County, and was in the area for a visit. She had traveled from another relative's home in the Leesburg area with Jalen to pick up her son at her mother's house. It was out of character for Ashe to be out of touch for so long, said her mother, Sabrina Jewell. She had three other children, including a 2-month-old. Anyone with information about what happened is asked to call police at 703-777-1021.